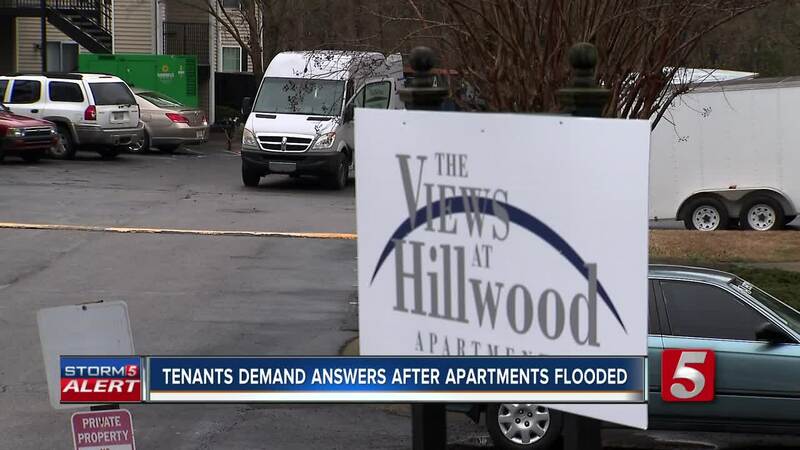 Tenants are demanding answers after their apartments flooded. They believe the drainage system was improperly maintained. 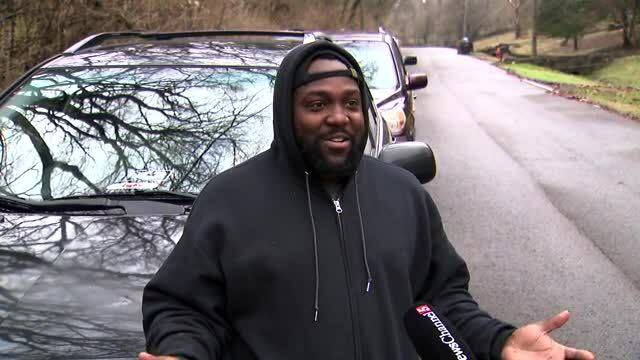 NASHVILLE, Tenn. (WTVF) — An obituary, Gucci shoes, and other belongings were found floating in flood water after an apartment complex was overwhelmed by rain. A torrential downpour fell and several units flooded at the Views at Hillwood apartment complex on Wednesday night. Frederick Dukes, a Hillwood complex resident said, "I took my headphones off and got up and went into the living room and I noticed all this water coming through the cracks of the door. I opened my blinds and looked and like there was an aquarium, I looked under and there was all this water like you could literally see like you're looking out through an aquarium." Dukes feared for his life. "The pressure was so hard for me to open the front door, I couldn't get it open when I finally did all the water just woosh. Washed into my place and totally took over everything. I tried to run and grab any of the strip cords that I could and pick them up because I didn't want to get electrocuted everything was live, power was on." A mom of three managed to get her children under the age of 9 to the second floor. Frederick Dukes, Priscilla Franco, and Jacob Bolen lost everything. "It was crazy, I never expected that to happen," Bolen said. Tenants mostly blame the apartment complex for not clearing out trash from the retention pond and storm water drains. "I just want whoever is responsible to give me some type of peace! You need to be compensating my stuff." Unfortunately they don't have flood or renters insurance. They took photos of workers clearing out the drains after the flooding occurred. Dukes said, "It's just a catastrophe, and at the end of the day they're trying to run and clean up everything and make it seem like everything is just okay." The Views at Hillwood denied our request for a statement or interview. Charlotte Pike is a state route so TDOT is responsible for clearing out storm drainage systems under the street. However, they only respond to problem areas if they are notified of the issue.